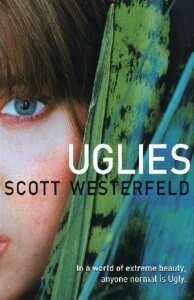 This book was unrealistic for me. Of course it's a science fiction type novel so it's not going to be REAL in present day, but I didn't like how fast everything moved and the relationships that happened. I felt like a relationship formed in all of one paragraph. I didn't even want to finish it, but I always finish a book because you never know the ending. It's a really great concept, but maybe could have been written better to describe scenes so I could visualize better.